A number of Comerfords have been active missionaries, working with the Presentation Sisters, the Spiritans, the Columbans, the Jesuits, the Vincentians, the South American Missionary Society, Canadian Anglicans, the Southern Baptists and other mission agencies and organisations in a dozen or more countries on six continents, including Angola, Australia, Canada, China, Hong Kong, Kenya, Korea, Mauritius, Mexico, Nigeria, Paraguay and the US, and in Ireland. The four Presentation sisters to arrive in San Francisco with Sister Mary Teresa were Sister Mary Joseph Cronin, the originally appointed Superior; Sister Mary Xavier Daly, Assistant to the Superior; Sister Mary Augustine Keane, Bursar; and Sister Mary Clare Duggan. Sister Mary Teresa, while not the founding mother, became the second Mother Superior for the California group of 8 November 1855. Mother Comerford, as she was then called, spearheaded the early survival and growth of the Sisters of the Presentation. Bridget Comerford was born in Ireland in 1821 and in 1841 entered the novitiate of the Sisters of the Presentation in Kilkenny, where she was given the name of Sister Mary Teresa. When she took her vows she declared her intention to devote her life to the instruction of poor female children. In 1854, she travelled from Ireland to Liverpool, from there to New York, and then across the Panama Isthmus to San Francisco. The party was accompanied by several priests and eight Sisters of Mercy. Later, she recreated in drawings two incidents for the novices in Ireland on her last trip there, shortly before her death: being thrown in a mudhole by a wilful mule; and being carried by “a brawny Indian” to the “tug” that took her to the steamship carrying her from Panama City to San Francisco – both times in full wool serge habit. In 1861, she was joined in San Francisco by her sister, Mother Mary Bernard Comerford (1830-1911), see below, who started immediately as the sub-mistress of novices. In San Francisco, Mother Comerford’s community remained as a cloistered community of religious women in the Sacred Heart Presentation Convent. She set up both the Presentation Convent on Powell Street and the Sacred Heart Convent at Taylor and Ellis. By 1874, the convents were educating 1,700 children without charging fees or tuition. She then decided to establish a school in the suburbs where sick sisters, who were ill because of the San Francisco climate, could go to recover their health. In 1877, Mother Mary Teresa chose Berkeley as the location for a new convent school for girls. Saint Joseph’s Presentation Convent was built on 2.7 acres of land deeded to Mother Teresa by an Irishman, James McGee. The convent was formally dedicated in June 1888. Large crowds came from Oakland and San Francisco, as well as Berkeley, for the ceremony. Archbishop Joseph Alemany of San Francisco was due to perform the dedication and blessing, but he missed the regular ferry from San Francisco and arrived two hours later, after the ceremony was over. Saint Joseph’s originally started as a convent and school for girls, but with a growing Catholic population in the area, it was necessary to have more than a school to minister to the community’s religious needs. As a result, Mother Mary Teresa invited her brother, Father Pierce M. Comerford (see below), from Ireland to come and be the pastor for a newly-established church linked with the school. Dr Comerford, using his own money, built himself a rectory facing Addison Street on lands donated by James McGee. A school for boys, Saint Peter’s, was built 100 ft south of the convent, facing Jefferson Avenue. With a school and chaplain in place, Archbishop Alemany created Saint Joseph’s Parish on 29 April 1879. Mother Mary Teresa returned to Ireland in 1879 in order to establish a novitiate for the California foundation in Kilcock, Co Kildare, but her brother remained in Berkeley. She returned to California in May 1881 but died that August. Mother Comerford’s coffin was taken by boat to Oakland, then back to Berkeley for burial in the small cemetery on the convent grounds. Her funeral procession to the ferry taking her from San Francisco to Berkeley filled Market Street from Sixth Street to the Ferry Terminal with friends, students, parents, and alumni walking four abreast followed by 60 carriages. Her brother and sister continued to live in California. 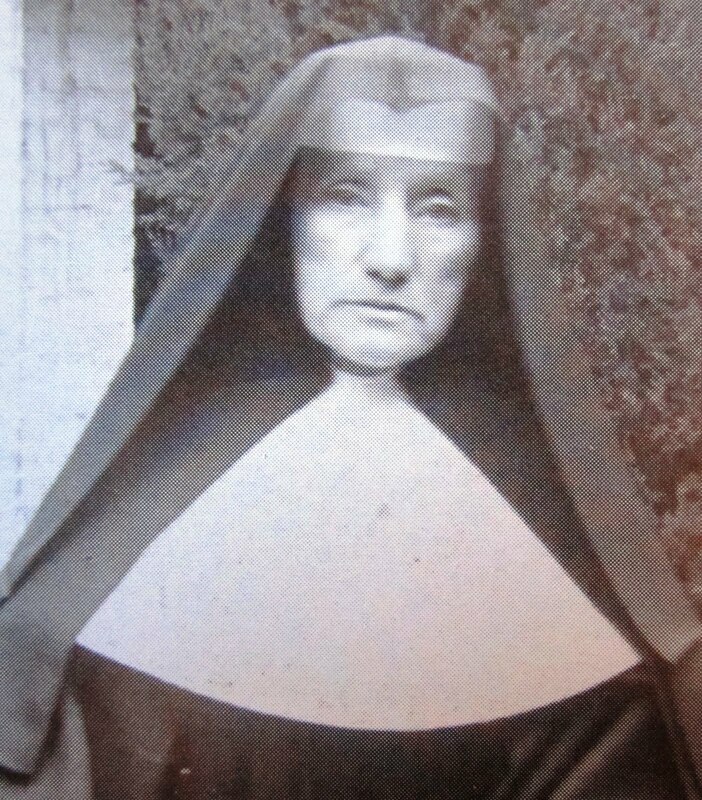 Mother Mary Bernard Comerford (1830-1911), the younger sister of Mother Mary Teresa Comerford, was born Catherine Comerford in Co Kilkenny in 1830. She too joined the Presentation Sisters, and in 1853 she professed her vows. She travelled to San Francisco to join her sister in 1861, starting immediately as the sub-mistress of novices. In 1907, Mother Mary Bernard fled the Presentation Convent in North Beach, making her way on foot to the Ferry Terminal as the Fire following the Great Earthquake threatened the Sisters’ San Francisco Convents and all were evacuated to Berkeley. 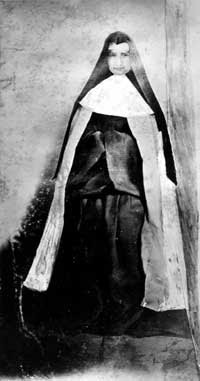 Mother Mary Bernard remained in Berkeley until her death in 1911. These two missionary sisters from Co Kilkenny were also younger sisters of Father Pierce Michael Comerford (1818-1905), who worked in Mauritius for 30 years before joining his sisters in California. He was born in Coolgreany, Co Kilkenny, in 1818, and studied at Saint Kieran’s College, Kilkenny. He went to Mauritius, where he was ordained in 1845, and he spent over 30 years working a missionary, mostly in Mauritius, with his cousin, Father Cornelius Hogan. Some Dodo bones he sent back to Dublin from Mauritius in 1865 became part of the collection in the Royal Dublin Society Museum and is now in the Natural History Museum in Dublin. He was Vicar-General of Mauritius until he returned home to Ireland in 1876 to retire, to rest and to restore his health. Until his arrival, there had only been an itinerant priest serving the predominantly Irish Roman Catholics in Berkeley. Using his own money, Dr Comerford built himself a rectory facing Addison Street on lands donated by James McGee. A school for boys, Saint Peter’s, was built 100 ft south of the convent, facing Jefferson Avenue. With a school and chaplain in place, Archbishop Joseph Alemany of San Francisco created Saint Joseph’s Parish on 29 April 1879. When Mother Mary Teresa returned to Ireland in 1879 to establish a novitiate for the California foundation in Kilcock, Co Kildare, he remained in Berkeley. When Dr Comerford was given permission to build a new school for boys, again James McGee gave the land for the school, and Saint Peter’s Boys’ School, financed by Dr Comerford, opened on 1 January 1881. 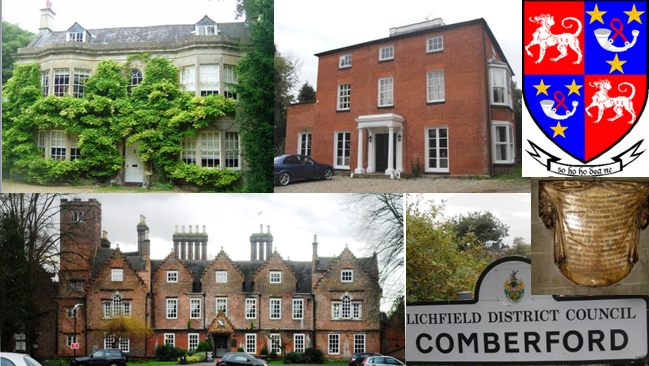 There is a tradition that Dr Comerford sold his horse in order to furnish the school. His sister returned to California in May 1881 but she died that August. Soon after, Dr Comerford next decided to build a church for the Catholics of Berkeley. Bryan Clinch, who had designed several small wooden Gothic churches in Northern California, was chosen as the architect. The site for the church was partially on land that McGee had given to Mother Teresa and partly on land that he gave to the church. 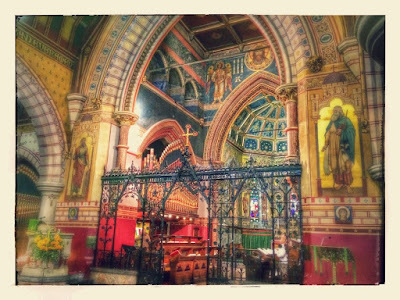 Saint Joseph’s Catholic Church was begun in 1883 but, due to lack of funds, was not completed until 1886. The church was paid for by a series of annual fairs that attracted the interest of people as far away as San Francisco. Father Comerford retired from service at Saint Joseph’s in 1899, but he remained active as a chaplain at O’Connor Hospital in San Jose until he died there in 1905. In 1913, the Church he had built was torn down to make room for a new wing of the convent, which stood until 1966. The Roman Catholic parish of Barcaldine in Western Queensland, Australia, was created in 1888, soon after the town developed as terminus of the Central Railway, from Rockhampton to Longreach. In the 1880s, as the line moved from Bogantungan to Barcaldine, the contractors were Catholics and they employed mainly Catholic labour. The railway has given over a century of service, and the families that built it have stayed in the area. Many names that came with the line have remained in Barcaldine over 100 years later. The mid-1880s were years of terrible drought. Water was more precious than gold. In 1879, the Revd James Comerford was appointed as chaplain to the construction workers. He has been described as a “two metre giant from Tipperary,” who became an “Apostle of the Saddle” as he attempted to serve in his ministry from Barcaldine to Westwood and to Winton. Father James travelled constantly throughout the Australian outback, celebrating Mass wherever a suitable venue could be found. The church from Bogantungan was moved to Barcaldine on the corner of Willow Street and Yew Street on a block purchased by Father Comerford. There it became a permanent center for administration and a Parish of Barcaldine was created in 1888. Father James was transferred from Barcaldine in October 1890 to the parish of Charters Towers, and where he established a Catholic boarding school for boys. William Edward Comerford, of whom next, born ca 1889/1890. William Edward Comerford was born ca 1889/1890. In 1901, he was a jeweller’s assistant, born in Liverpool and living in Moss Side with his uncle Richard Cammack and family. In the years that followed, he became a missionary in China, and he was supported from 1909 by the English Baptist Missionary Society in his work in Xi'an (Sianfu), one of the oldest cities in China. While he was working in China, he married Eleanor (‘Ella’) Jeter Comerford, a Baptist missionary from Texas who worked in China for 20 years. Ella was born on 19 April 1877 in the Hayden Community, Van Zandt County, Texas. She was the daughter of Allen William Jeter (1832-1907) and Susan Seale Jeter (1840-1920). Ella Comerford spent 20 years as a missionary in China with the famous Charlotte Digges ‘Lottie’ Moon (1840-1912), a Southern Baptist missionary from Texas. 1, Howard Comerford, who was killed in a car crash at the age of 15 in England. 2, Ruth, born on 28 June 1918 at 27 Radstock Road, West Derby, Liverpool. Will Comerford was shell-shocked in World War I and he spent his last years in hospital in England. Ella Comerford and her daughter Ruth sailed from Liverpool to New York City on the RMS Aquitania in 1930. Ella died in Terrell, Kaufman County, Texas, on 9 October 1959 and is buried at White Rose Cemetery in Van Zandt County, Texas. The Revd James Comerford, OMI (1839-post 1873), was a 19th century missionary among Irish emigrants in Wales. He was born in Co Kilkenny in 1839. He was ordained in 1866 and joined the Oblates of Mary Immaculate in 1873. For many years he was a parish priest in Colwyn Bay in Wales. Two of his nephews, the brothers Nicholas Comerford and Edmund Comerford, were Vincentian missionaries in the next generation. Three Comerfords were prominent members of the Congregation of the Mission, or the Vincentian Fathers, in Ireland and in England in the late 19th century and the first half of the 20th century. The Revd Edmund Henry Comerford, CM (1870-1940), was born in Muckalee, Co Kilkenny, in 1870, and educated at Castleknock College, Co Dublin. He joined the Vincentians in 1890 and was ordained priest in 1895. 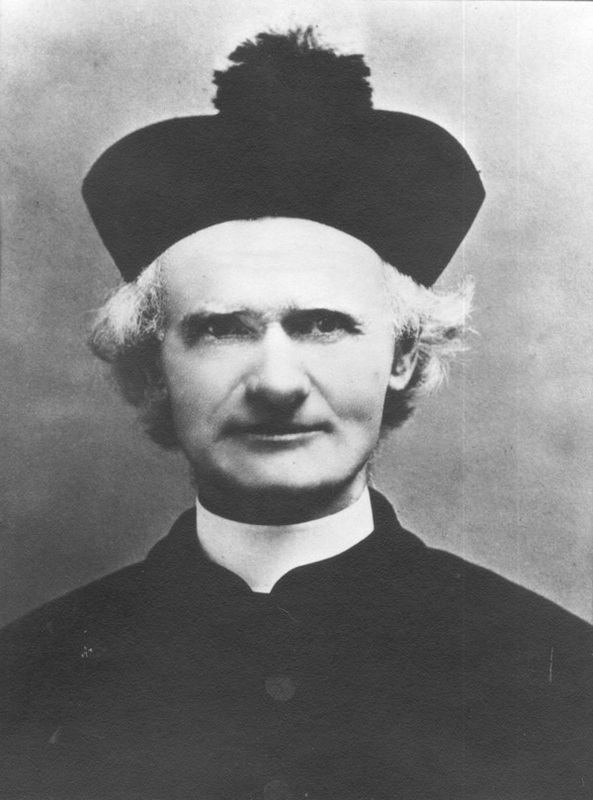 Father Edmond worked with the Vincentian missions in Sheffield before returning to Dublin in the 1900s as Dean of Saint Vincent’s College, Castleknock. He later served in Saint Peter’s Church, Phibsboro, and was appointed Provincial Bursar in 1922. He was attached to Saint Peter’s, Phibsboro, when he died in 1940. His younger brother, the Revd Nicholas Comerford (1873-1937), was born in Muckalee, Co Kilkenny in 1873, joined the Vincentian community in 1896, and was ordained in 1902. He taught in Saint Vincent’s College, Castleknock, and in All Hallows’ College, Drumcondra, before going to England to work on the Vicentian missions in Hammersmith, where he taught at the Vincentian Training College, and then at the Vincentian mission based in Solly Street, Sheffield, in 1913, following in the footsteps of his elder brother. In 1929, Father Nicholas re-established the magazine, The Vincentian, which he edited until the day he died. Father Nicholas died in Sheffield on 15 April 1937. In the summer of 1939, the Padley Society paid tribute to their former chaplain, Father Nicholas Comerford, with a gift to the library of Sheffield University of over 60 Catholic books, each with a personal dedication to the late chaplain. A third Vincentian priest, the Revd James Comerford, CM, joined the Vicentians in 1884 and was ordained priest in 1889. Father James later served as Bursar of Saint Vincent’s College, Castleknock, Co Dublin. The Revd Thomas Comerford, CR, a Resurrectionist missionary, was descended from a family that had been living in Mount Saint Patrick in the Ottawa Valley in Canada, from about 1843. He spent many years in the Resurrectionist missions in South America and the Caribbean before returning to Canada. In 1979, he was stationed in Saint Mary’s Hospital in Kitchener, Ontario. Father Michael Comerford (1903-1997) was born on 29 September 1903 in Urlingford, Co Kilkenny. He worked with “Holy Ghost Father” or Spiritans for many decades, and was involved in the education and training of some of Ireland’s best-known missionaries. Michael Comerford was a son of William Comerford, a national school teacher in Urlingford, Co Kilkenny, and his first wife, Honora (Maher) Comerford from Cashel, Co Tipperary. He spent most of his life teaching in Rockwell College, Cashel, Co Tipperary. Father Mike entered the Spiritan juniorate in Rockwell College, Co Tipperary, in 1917 and was professed in Kimmage Manor, Dublin, in 1922. He served as a prefect at Blackrock College, Co Dublin, from 1923 to 1927 and again from 1929 to 1930. A keen footballer, he played for the Blackrock Club, winning two Leinster medals in the Minor League competition in 1925 and 1926. He was one of those who launched into poetry to celebrate the SCT silver jubilee victory in 1925. He studied theology in Blackrock Castle and was one of the last group to be ordained from there in 1933, when the theology students transferred to Kimmage Manor. He was appointed to Rockwell College in 1934, where he succeeded Father John McCarthy as Director of the Juniorate, a post he held until 1940. He then became Bursar, coping with the special demands of the “Emergency Years” of World War II and the major building scheme initiated by Father V.J. Dinan. In 1944, Father Mike returned full time to the class room, Mathematics being his specialty. From 1949 to 1961, and from 1962 to 1974, he served as First Assistant. He succeeded Father James Finucane as President and Superior of the community from 1961 to 1962. Father Michael Comerford died on 29 April 1997 in his 94th year. He was buried in Rockwell, Co Tipperary. He was a half-brother of Father Frank Comerford (see below), an uncle of Father Brendan Comerford (see below), and a second cousin of William James Valentine Comerford, a well-known local historian in Co Galway. Father Tommy Comerford from Co Kilkenny was in his 90th year when he died on 18 February 2009 in Chun Chon, Korea. He had spent most of his missionary life in Korea, and was buried among the people he loved and served for over 55 years. Tommy Comerford was born on 31 October 1919, the son of Philip Comerford and Ellen (Pollard) Comerford, in the Parish of Danesfort and Grange, Co Kilkenny, in the Diocese of Ossory. After his early education at Kells National School, Co Kilkenny, and Saint Kieran’s College, Kilkenny, he joined the Columban Missionaries. He was ordained in Dalgan Park, Navan, Co Meath, on 21 December 1943 and was sent to China as a missionary in 1944. He spent the next two years in Shanghai and was then appointed to the new Columban mission in South Korea, where he and five other Columban missionaries arrived in January 1948. Asked about his first impressions of his new mission, he replied: “It was like the North Pole, it was so cold.” He had spent a year learning the Korean language in Shanghai, and was immediately assigned to Chun Chon, a rural mountainous area north of Seoul. When he arrived there, the area had only three priests and four parishes. By then time he died, the area had over 100 priests, all native Koreans, and as many parishes. Ever the stalwart missionary, Father Tommy went straight to work to bring the comfort and light of the Gospel to his new found friends. The roads were poor or non-existent, with no organised transport, so Tommy recalled days when he walked long distances to mountain villages to attend the sick and to celebrate the Mass with the people. If an army truck was passing, he thumbed a lift He honed his skills at thumbing and in the end usually got where he wanted to go. On one occasion, when he had to go to a remote area in the mountains for the Easter ceremonies, Bishop Tom Quinlan from Tipperary loaned him his bicycle. Tommy later joked that hurling was not an obstacle to the spread of the Gospel in Korea – referring to the fact that Kilkenny had beaten Tipperary in the hurling final the year before. Tommy Comerford had an engaging personality, a love of history, a joy in meeting people, and a tireless energy and zeal for mission. He was a familiar figure on the streets of the small towns and villages in the province of Kangwondo in the Diocese of Chun Chon, where he spent all his life. The local people referred to him respectfully as “Buddha,” a holy man walking among them. He was survived by his sister, Mrs Kathleen Fennelly, of Ballycaum, Stoneyford, Co Kilkenny, and was predeceased by his sister, Mrs Mary Byrne of Wells, near Bagenalstown, Co Carlow, and his brother, John Comerford, of Harnastan, Kells, Co Kilkenny. Father Frank Comerford was also a member of the Spiritan Community, and in recent years lived in Kimmage Manor, Dublin. Frank Comerford, who was born in Urlingford, Co Kilkenny, on 23 April 1920, was a son of William Comerford and his second wife, Margaret (Cotter) Comerford, both teachers in Urlingford National School, Co Kilkenny. He was a half-brother of Father Michael Comerford (see above), an uncle of Father Brendan Comerford (see below), and a second cousin of William James Valentine Comerford, a well-known local historian in Co Galway. From school, he joined the Spiritans (the Holy Ghost Congregation). He was professed in Kilshane, Co Tipperary, as a novice in 1939. After his ordination in 1949, he was sent to Rome where he studied at the Gregorian University. In 1950, he was sent to Kenya and spent his first two years as a curate in Mombasa. He was then sent to Mangu High School where he taught Latin, English and Religion. This area was the centre of the Mau Mau Revolt, and like all white priests he slept at night with a revolver under his pillow, although he says happily he did not have to use it. In 1957, he was appointed Headmaster of the Dr Ribeiro Goan School, Nairobi, run by the Goan Overseas Association, the first Catholic priest appointed to that post. There was a strong anti-Catholic sentiment among the Board of Governors, and when he overspent his budget of 200 shillings he was dismissed. When a South African newspaper, The Drum, published a two-page report, other newspapers picked up the story, and the students went on strike by students. During a demonstration in Nairobi, a fleet of trucks blocked the school, and one truck carried a blackboard with the slogan: “Give us back our Irish Rose”. As a result of very strong press interest, he was forced to go into hiding in a Kikuyu village for a number of months, but he was cleared of all allegations and reinstated. By the time British rule ended in December 1964 and the Kenyan republic was declared, he was working in the Papal Nunciature in Nairobi, involved in the changes introduced by the Second Vatican Council and assisting in the establishment of new nunciatures in the newly-independent states in the former British East Africa. In July 1966, he founded and edited the Catholic Mirror, for which wrote a column where a girl called Annabelle discussed issues of the day with her Uncle Frank. The Catholic Mirror lasted for eight years, until it was forcibly closed by the Kenyan authorities. In 1968, Frank spent 12 months working in Rome, and he was there again in March 1973 with Cardinal Maurice Otunga (1923-2003) when he became the first Kenyan to be made a cardinal. Following the closure of the Catholic Mirror, Frank was sent to Thika, a town 40 km north-east of Nairobi, and spent the next 17 years there as Parish Priest. In 1988, he retired to Ireland but one year later he went to Australia where he spent the next 10 years working as a Parish Priest in a parish in Brisbane. He finally returned to Ireland in 2000, and lived at Kimmage Manor. Throughout his career he wrote poetry and articles. He was a regular contributor to the Spiritan magazine Outlook, and his book, Annabelle and other writings, an anthology of some of his work, was launched in the Mission House, Kimmage Manor, in December 2010. He died at Kimmage Manor on 10 September 2012. He was buried in the Spiritan Community graveyard at Rockwell College, Co Tipperary. He was a brother of the late Joseph Comerford, of Main Street, Urlingford, Co Kilkenny, who died on 5 April 2008. 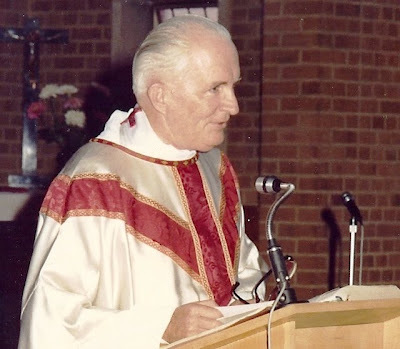 Father Patrick Comerford (1933-1999), who worked as a Spiritan missionary in Britain and Nigeria, and later in the US and Mexico, was born on 28 March 1933 in Cahirciveen, Co Kerry. His family came from Grangemockler, Co Tipperary, where his grandfather worked the land. After secondary schooling at Blackrock College, Dublin (1948-1950), he entered the Spiritan Congregation and was professed in 1952. After two years study in Kimmage Manor, he became a prefect in Saint Mary’s College, Rathmines (1954-1956). He was ordained in 1959, and he was assigned the following year to promotional work in Ireland, where he served for three years. Father Pat was then appointed to Nigeria, and he served in Onitsha for four years, working mainly in Adazi at Saint Andrew’s, a large parish with a congregation of 25,000. From 1967 to 1969, he worked in London and Glasgow in parish ministry and then returned to Nigeria where he worked for two years until he was forced to leave because of the Biafra War. In 1970 he went to the US to work with his American confreres in an African-American parish in Louisiana until 1973. He then went to work among the Indians in in the State of San Luis Potosi in Mexico. In 1976, he transferred to the USA West Province of the Spiritans and served for a period on the Provincial Council. From 1980 to 1983, he was attached to Our Lady of Perpetual Help Church in Indio, California. Later, he continued to work in Mexico until ill-health forced him to retire in 1997 and to return to Ireland. As he lay dying, his great consolation was that at that moment the ordination ceremony of the first two Mexican Spiritans was taking place. Father Pat Comerford died in Saint Vincent’s Hospital, Dublin, on 14 January 1999 after a long illness. He is buried in the Spiritan plot in Dardistown Cemetery, Co Dublin. Father Paddy Comerford from Castlecomer, Co Kilkenny, has worked throughout most of his ministry in California. He is the author of From Comer to Calibar (2008), a biography of the Castlecomer-born missionary priest, Father Johnny Kearns. Proceeds from the book were distributed among the Friends of Castlecomer District Hospital, Castlecomer Social Services and the Society of Saint Vincent de Paul. The Revd Philip Comerford (1909-2006), who died in Saskatoon, Canada, on 21 December 2006 at the age of 97 after a long and full life, spent ten years working as a missionary in Paraguay, before spending a long and fruitful life in ordained ministry in Canada. 1, Philip Henry Comerford (1880- ), who was born in Leixlip, Co Kildare, on 18 May 1880, and is listed in the Census returns in 1901 as Church of Ireland. 2, James Comerford, born ca 1882, aged 19 and a butler in 1901, listed in the Census returns as Church of Ireland. 3, Patrick Comerford, born ca 1885, a messenger, aged 16, in 1901, listed in the Census returns as Church of Ireland. 4, Mary Josephine, born Ashtown, Co Dublin, 1886, baptised in Chapelizod Roman Catholic Church, 1886 (sponsors: John Faley and Louisa Layne), appears to have died in infancy. 5, Elizabeth (‘Tillie’), born 1888, baptised in Saint Andrew’s RC Church, Westland Row, in 1888 (sponsor: Sarah Mooney), living in 1901, aged 12, at school, and listed in the Census returns as Church of Ireland. 6, Mary Frances, born 15 September 1890, baptised in Saint Mark’s Church (Church of Ireland), 9 November 1890, and in Saint Andrew’s RC Church, Westland Row, 1890 (sponsor, Margaret O’Leary). Aged 9 in 1901, at school, and listed in the Census returns as Church of Ireland. 7, Kathleen, born in 1894, and baptised in Saint Andrew’s RC Church, Westland Row, in 1888. Not listed in the 1901 Census returns. Philip Henry Comerford (1880-), the eldest son of Philip and Margaret (Mooney) Comerford, was born in Leixlip, Co Kildare, on 18 May 1880. He was a railway clerk and living at 37 Wentworth Place when on 5 October 1907, in Saint Bartholomew’s Church, Ballsbridge, he married Mary of 11 Bath Avenue, daughter of John Harvey, engine fitter; she was born in Manchester. The wedding was conducted by the Vicar of Saint Bartholomew’s, Canon Harry Vere White (1853-1941), later Archdeacon of Dublin (1917-1918), Dean of Christ Church Cathedral (1918-1921), and Bishop of Limerick, Ardfert and Aghadoe (1921-1933), and a former Irish organising secretary of the Anglican mission agency, the Society for the Propagation of the Gospel (SPG). The witnesses at the wedding were William Harvey and Sarah Harvey. The father was working with Irish Railways and the couple were living at 56 Temple Buildings when their son, Philip Henry Comerford, later the Revd Philip Comerford (1909-2006), was born there on 23 August 1909. At the 1911 census, the family was living in Upper Dominick Street, Dublin. The father continued to work with CIE, and the younger Philip Comerford also worked as a joiner and draftsman with Irish Railways before leaving Ireland to work in as a missionary in Latin America. Philip served in parishes in the Dioceses of Saskatchewan, Athabasca and Saskatoon. His longest appointment was in the parish of Radisson, Maymont and Borden where he served 11 years. Philip lived a life that was full of adventure, purpose and conviction. Archdeacon Henry Montgomery Comerford of Saskatoon, the Dublin-born son of the Revd Philip Comerford (see above) is an Anglican priest in Canada and an acclaimed artist who has worked in a challenging missionary context in Saskatchewan as Rector of Saint George’s Church, Saskatoon. Henry has also run a family business producing honey, Sun River Honey. Henry and his wife Sara have two children, Aaron Comerford and Shannon. 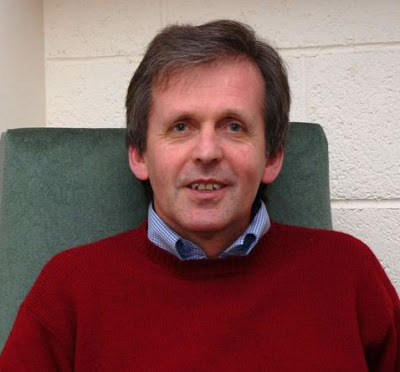 Father Brendan Comerford, who is a staff member at Manresa, the Jesuit Centre of Spirituality in Clontarf, Dublin, and teaches spirituality in the Milltown Institute, Dublin, is a nephew of the Spiritan brothers, Father Mike Comerford and Father Frank Comerford (see above). Brendan Comerford, who was born in Wexford in 1954, is the son of John Comerford and Eithne (Hickey) Comerford. He was a teacher at Sandford Park School in Ranelagh before he joined the Jesuits in 1980, He was ordained in 1988, and after completing his studies, he taught for a number of years in Colaiste Iognáid in Galway. He worked for seven years at the Jesuit centre for formation in Birmingham. 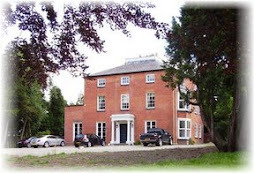 In 1999, he was appointed Director of Novices in the Joint British and Irish Jesuit Novitiate in Birmingham, a post he held until the summer of 2006. Brendan is also an editorial adviser for the Jesuit publication, The Way. Dr Michael Comerford has worked in mission and development work in Angola and Kenya since 1993. He has taught in the Department of Political Studies, University of Leeds, and has been a guest lecturer at the Kimmage Mission Institute, Kimmage Manor and Milltown Park, addressing questions concerning development studies and theology. He has worked with the Development Workshop in Angola peace programmes in Luanda and Huambo as an adviser to the Country Programme Manager and a consultant with the LUPP Programme. He joined the staff of the Irish Catholic Bishops’ development agency in 2006, becoming Trocáire’s Country Representative in Angola since. He is now Trocáire’s East Africa Regional Manager, based in Nairobi, Kenya. ● ‘The role of tradition in peace-making: modernity and inculturation,’ in Joe Egan and Brendan McConvery (eds), Faithful Witness: Glimpses of the Kingdom (Dublin: Department of Mission Theology and Cultures, Milltown Institute of Theology and Philosophy, 2005), pp 138-147. ● ‘The Angolan churches from the Bicesse to the Luena Peace Agreements (1991-2002): the building of a peace agenda and the road to ecumenical dialogue,’ Journal of Religion in Africa, Volume 37, No 4 (2007), pp 491-522. ● Angola: Biography of a Peace Process 1991-2002 (2010). Father Donald Comerford Lawler, SJ, lived in Hong Kong for over 40 years, apart from two brief periods when he studied in Australia and Ireland. Father Donald, who was a descendant of the Comerfords of Newtownbarry (Bunclody), Co Wexford (see Chapter 8), was born in Newtownbarry in 1911, the son of Peter Paul Lawler (1862-1914), merchant, grocer, draper, auctioneer, of Main Street, Newtownbarry (Bunclody), Co Wexford, and Mary (Derham) Comerford, daughter of Andrew Derham and Anne McCabe of Holmpatrick, Skerries, Co Dublin. He was a grandson of Denis Lawler and Anne (Comerford) Lawler of Bunclody. Donald joined the Jesuits in 1928. He went to Hong Kong in 1936. 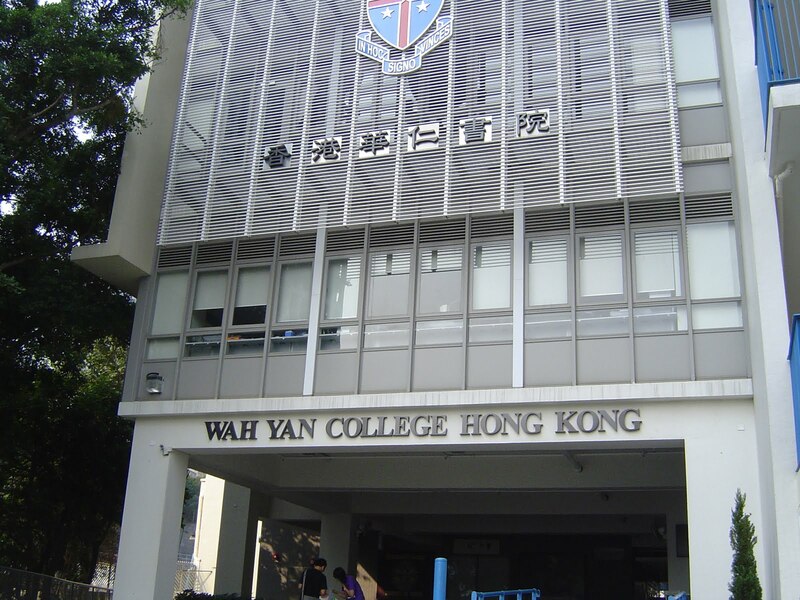 After two years studying Cantonese, he taught for two further years in Wah Yan College, Hong Kong, which had been transferred to the Irish Jesuits in 1932 and was then known as the College of Christ the King. He then studied theology in Australia and was ordained priest in Australia in 1944. 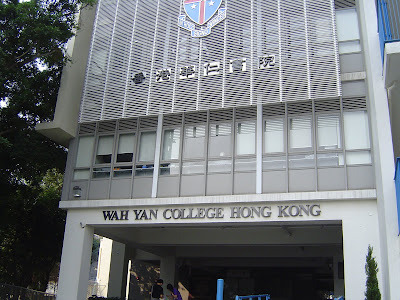 After a final year of Jesuit formation in Ireland, he returned to Hong Kong in 1946 and was senior Science Master in Wah Yan College, Hong Kong, for thirty years. Father Donald suffered a stroke in 1976, and was invalided for the rest of his life. Around 1979, he was brought back to Ireland by hospital plane. There the care of his elder brother, Father Brendan Comerford Lawler (see below), also a Jesuit, helped to mitigate the hardships imposed by his long illness. He died in Ireland on 4 December 1984, aged 73. 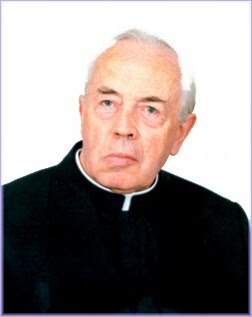 Father Brendan Comerford Lawler, SJ was the Assistant Registrar, Milltown Institute of Theology and Philosophy, Milltown Park, Dublin, where he was also the Lecturer in Logic for many years. Father Brendan, who was a descendant of the Comerfords of Newtownbarry (Bunclody), Co Wexford (see Chapter 8), was born in Newtownbarry in 1909, the son of Peter Paul Lawler (1862-1914), merchant, grocer, draper, auctioneer, of Main Street, Newtownbarry (Bunclody), Co Wexford, and Mary (Derham) Comerford, formerly of Kinsealy, Co Dublin; he was a grandson of Denis Lawler and Anne (Comerford) Lawler of Bunclody. His brother, Father Donald Comerford Lawler (see above), worked in Hong Kong for over 30 years. ‘Science and Vision,’ The Irish Monthly, 76/901 (July 1948), pp 318-326. ‘Reading the Epistles IV. I Corinthians,’ The Irish Monthly, 77/915 (September 1949), pp 426-433. He also contributed book reviews to The Irish Monthly. The Revd George Arthur Comerford (1867-1924) was a Canadian Methodist minister in the last century. 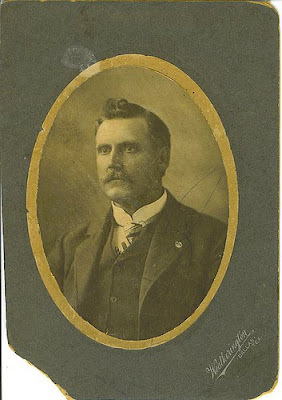 George was born on 23 November 1867 in El Dorado, Madoc Township, Hastings County, Ontario, and came from a large Irish family. His father, Thomas Comerford (1827-1891), was born in Ireland on 21 November 1827 and died on 4 April 1891; his mother, Adeline Amanda Mitts, was born in Canada. 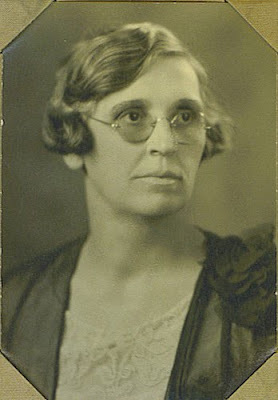 George Comerford married Dora Hamilton in 1924. He was living in Carleton Place when he died on 15 August 1924 in Carleton Place, Lanark County, Ontario. He was buried in Fox Cemetery, Madoc Township (Hastings County), Ontario, Canada. © Patrick Comerford 2009, 2010, 2011, 2012, 2013, 2014, 2015, 2016, 2017. Last updated 6, 9 and 13 December 2010; 3 May 2011, 30 November 2011, 1 December 2011; 26 January 2012, 1, 2 and 14 February 2012; 27 April 2012; 12 and 18 September 2012; 22 October 2012; 14 February 2013; 5, 7 and 18 August 2014; 23 November 2014; 24 July 2015; 25 April 2016; 16 and 17 May 2017; 20 June 2017; 26 September 2017. Victoria Derham Lawler mother of Rev. Donal Comerford Lawler and Rev. Brendan Comerford Lawler was the daughter of Andrew Derham and Anne McCabe of Holmpatrick, Skerries, Co. Dublin. Her sister was Mrs. Joseph O'Neill of Kinsealy Hall, Malahide, Co. Dublin. I am interconnected into various families associated with the O'Neill's and the Derham's, and would be obliged if this would be corrected. This is part of a very big connection which I am researching for many years.